One of the biggest misnomers in home ownership is “no-maintenance”. From siding to windows and sometimes even the plants in our yards, the trendy marketing phrase has been “no-maintenance”. In point of fact, there is really no such thing. There are instead “low maintenance” components of your home, and they all need to be addressed by you, the home owner! Siding – steel and vinyl siding are generally low maintenance. 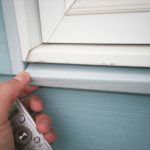 They come in a huge variety of colors and styles, and really only require caulking and sometimes a wash to clean up the dirt and road grime that seems to collect on them. Cedar siding is certainly high maintenance. It is a beautiful and durable natural product, but be prepared for upkeep. Boards age and crack, pests (especially woodpeckers) damage boards, and it needs to be stained/sealed every few years. Another low maintenance siding material is the Hardy board. Made of cement, it is durable, looks good, but does require painting and special equipment to replace a piece if a board is damaged. Windows – all windows, vinyl, metal clad, or wood need upkeep. 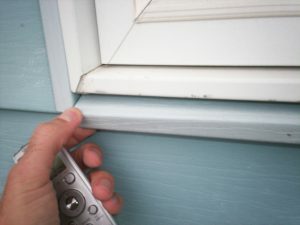 Caulking is the most basic task they require to keep moisture from getting to the interior of the home. A good latex caulk is normally enough to keep that from happening, if the old caulk is cut out and replaced with new. On the inside, wood windows need to be stained or painted to seal the wood from moisture. Many window companies have a warranty period that states if the window is not sealed within that time frame, your warranty will be voided! These are just two of the many components of your home, but some of the most important as they help seal out the elements and protect the structure of a house. So jump out there and grab your caulk gun! Root River Inspections is a family-owned, Minnesota-based business that has been serving the area since 2006. We are certified for commercial and residential inspections, and we use the latest technology including infrared thermal imaging. Whether you are a buyer, seller or real estate agent, you can trust Root River Inspections for thorough home inspections at reasonable prices. Copyright © 2019 Root River Inspections. All rights reserved. Powered by Home Inspector Pro Websites.